In the heat of summer, when the air temperature is kept at 30-40 degrees, at work and at home saving air-conditioning. However, you need to get under the cold air, like disease is inevitable. Air - conditioners are great helpers in the fight against the hot weather but, like any tools, for cooling, they must be used wisely, otherwise, you can catch a cold or get sick with tonsillitis in the summer are not uncommon. How to use air conditioning to stay healthy? Don't let the sudden drop in temperature before going outside. The air outside during the hot summer days can warm up to 40 degrees, so it is unwise to use the air conditioning when you go out of your home or office. It is best to turn it off for half an hour before leaving to give room to gradually heat up. You can also open the window. Then outside you will be amazed by the wave of hot air and will not expose your health to the test. Also need to do and after returning to the room. Give your body a little cool after the sun, and then gradually cool the room to a comfortable temperature. The difference of air temperature between the street and the room should not exceed 4-6 degrees, so vary the cooling in your home or office depending on how many degrees the thermometer on the street. 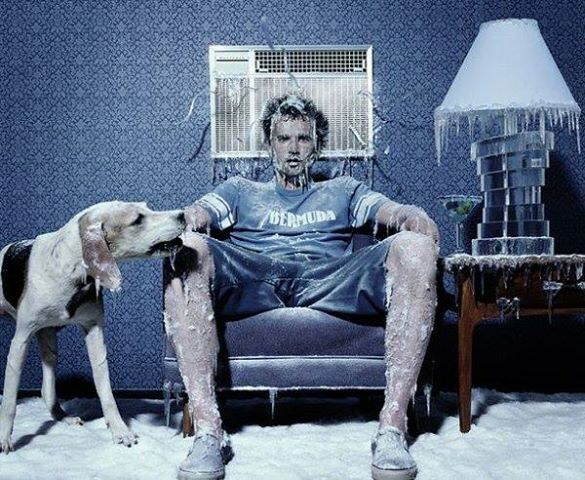 Even if you don't like the heat and prefer the coolness and freshness, keep the room temperature below 22-24 degrees. This is the most comfortable mode for a person to maintain health under such conditions it will be easier. Temperature below the recommended minimum can be set only during sleep. It is best to use this Sleep function, when enabled, where the air conditioner starts to work in a more quiet mode cools the room and then off to the overnight room a bit hot, and you awoke in warmth. The main rule when using the air conditioner is, of course, not to get under blow-off. That's worth thinking about even during the installation of the device, to see whether in the office Desk of an employee directly under the air conditioner will not be possible to get someone under a stream of cold air. Even for a short time under the appliance may cost human health: he develops a cold, sore throat, thanks to him you can make inflammation of the spine, ear, muscles. If you have to work under the air conditioner, ask to raise the temperature, wear more warm clothes, do not hesitate even to tie a scarf or shawl to throw. Causes of diseases can be harmful bacteria, which accumulate and multiply in the filters of these devices. Therefore it is important to clean and change. We must not forget about the ventilation, because the fresh air gives the air conditioner is not cooling again and again, only the one that is in the room. So in between work should open a window and let the come flow hot, but fresh air, free from stagnant in the bacteria.